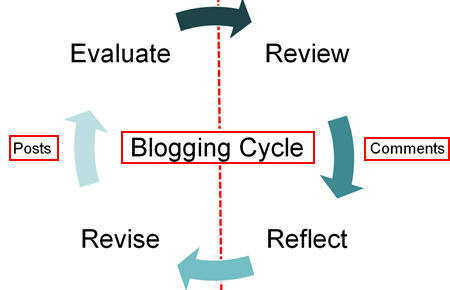 Blogging is widely considered one of the best activities to support connected learning. 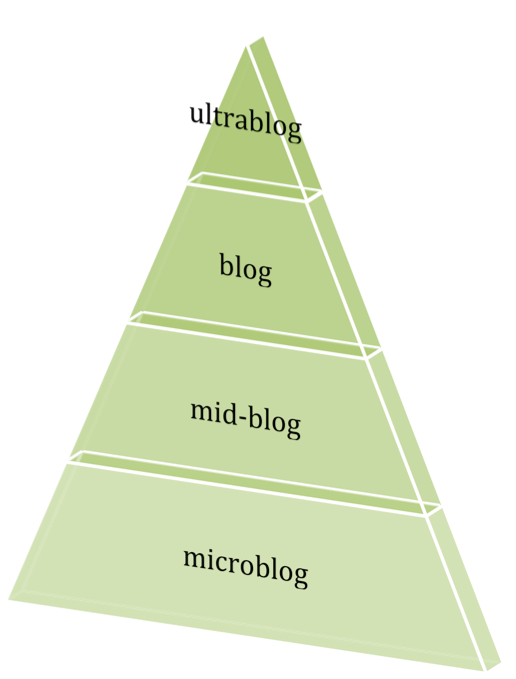 However, many people don't realize the degrees of involvement that blogging has to offer. This "Blogging Pyramid" came to mind during a conversation at a Starbucks yesterday, and is my interpretation of how educators and students can get involved with blogging on various levels. The pyramid also reflects my daily usage of social media. or blogging tools. My school is a 1:1 learning environment supported by iPads, so that is my focus for this post. Other blogging tools may be more appropriate for your audience or learning environment. Ultrablog - eBooks - iBooks Author, more length detail and evidence of research or knowledge. eBooks should include interactive features to enhance the reading experience. eBooks are living documents that can be expanded and revised to include current information and upgraded features. Mid-Blog - Google+, typically longer and more detailed than "Tweets", Google+ posts can include media (photos/video) with thumbnail graphics. Posts can be shared publicly or with specific "circles"or communities. Posts are not limited in size, but short statements or paragraphs seem to fit best in the blog. Microblog - Twitter, Tweets are limited to 140 characters. Writers can engage with a wide audience, or filter their interactions and direct message with specific individuals. Tweets can include links, photos, and location information. Since this concept began as a napkin drawing, your comments and suggestions for improvement are appreciated. Thank you for your time, attention, and feedback.